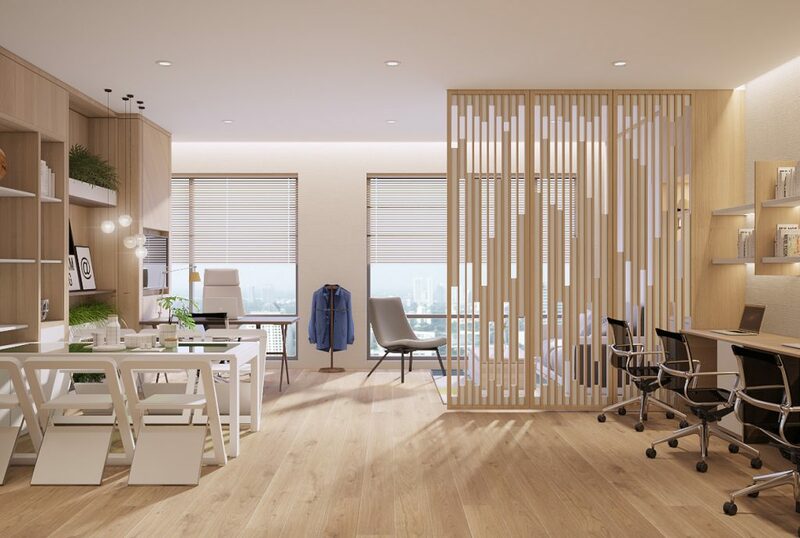 With advantages of infrastructure and facilities, Phu My Hung is a positive environment for many types of high-end real estate development, such as the high-grade Golden King specialized in officetel and the center the commercial is coming out later this year. At the heart of the South Saigon area with the current infrastructure, synchronous and living environment international standards, real estate in Phu My Hung is always demanded by many residents and investors are welcome. . Projects from the beginning of the publication to the official launch date and in operation have always received a keen interest in the market. Soon, Phu My Hung will receive an additional 374 units from the Golden King complex. In addition to the advantages located on 3 fronts between the center of Phu My Hung (Nguyen Luong Bang – Tran Van Tra and internal roads), Golden King also attract customers by the multi-function of officetel. 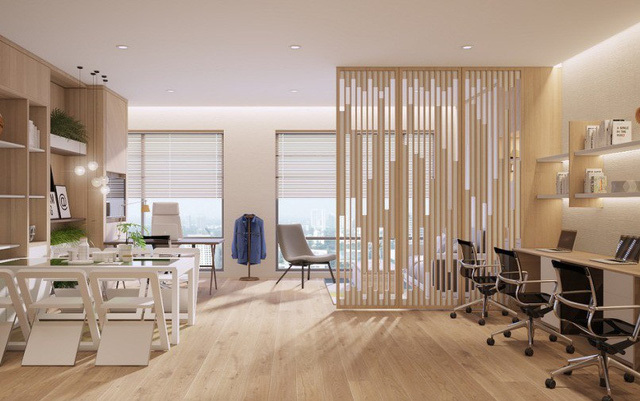 As a business office, as well as a place to stay, officetel is the first choice of young entrepreneurs, start-ups, small and medium enterprises, as well as investors. want to diversify the lucrative list. Affected by the continuous increase in prices of the office market along with the apartment and land markets, many officetel projects tend to increase prices in the last year. According to the survey on the current price of the officetel project at the same price in 2017, it is found that almost 20-30% of officetel units are added. This increase is considered higher than the amplitude of the price increase of the normal apartment segment. However, one expert said: “Despite high prices, officetel is not an easy playground. Due to the commercial and customer needs, the expensive officetel projects are concentrated in large centers and crowded areas to facilitate trade and stay. 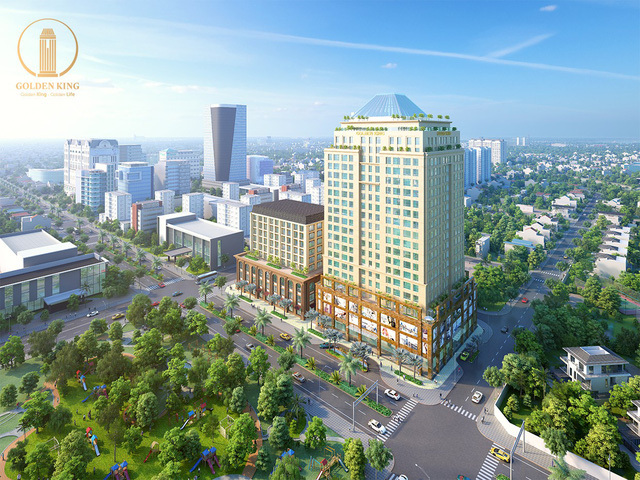 The high-class retail – officetel – office complex Golden King owns 3 fronts in the center of Phu My Hung (District 7), including Nguyen Luong Bang – the strategic axis of Saigon South. With 21 floors, Golden King comprises of commercial and office buildings and 374 serviced apartments ranging in size from 30 – 253sq.m, which are optimized for utility and space. It is suitable with the trend of living combined with the current dynamic work. Each of the three floors servetel apartment will be arranged a spacious and modern meeting room to meet the needs of meeting partners, staff meetings, teamwork. The Golden King officetel has a modern and flexible design that easily transforms functions to suit the needs of the user. Golden King is adjacent to Saigon International Exhibition & Convention Center (SECC), office buildings of big companies like Vinamilk, Manulife, Unilever Vietnam; Crescent Mall, Ibis and international schools … Besides, the Golden King complex is also equipped with 5 commercial floors with modern facilities such as commercial center , restaurants, clubhouse, gym, spa, health care … to meet the needs of living, relaxation and relaxation of the building residents. Once operational, the Golden King is managed and operated by Colliers International – a leading global real estate investment and management brand, currently operating in 69 countries. With the prestige and experience of Colliers International, startups and businesses can be assured of setting up a business in a high-end international standard complex, professional service. Currently, Golden King is in the process of completion to be ready to hand over, coming into operation from the fourth quarter of this year. Therefore, customers do not need to wait time and opportunity costs that can be exploited and put into use immediately. This is a chance to live in the center of Phu My Hung, the first international urban model in the country.